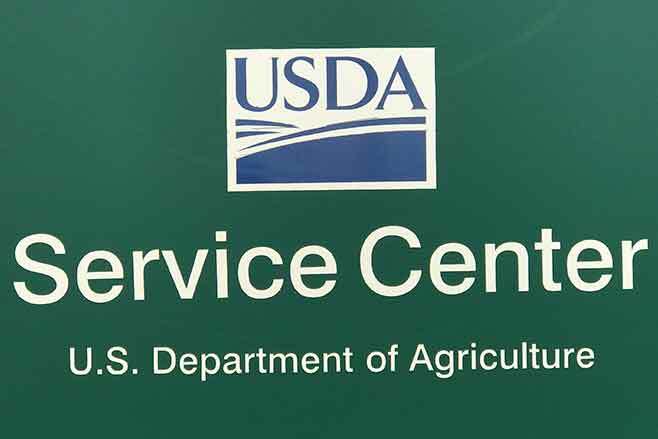 The USDA Service Center will be open regular business hours during the Kiowa County Fair. We hope everyone enjoys the fair with all the festivities. The LDP rates just continued to rise this past week. From Monday to Friday there was a .19 cent increase. The office has been very busy with LDP requests and it will be a few weeks before any payments will be issued. The office was notified this past week that the office cannot accept any further offers for the following CRP program for continuous signups. In Kiowa County there are two continuous signups. The 2014 Farm Bill authorized a maximum of 24 million CRP acres nationwide; which was a reduction from the previous 32 million. The National Office has informed State Offices that the 24 million acre cap will be reached in fiscal year 2017. Therefore the FSA office will not be accepting any further offers for land in these two programs. FSA offices are still allowed to accept offers for the CRP Grasslands Program due to the fact the national acre cap of 2 million for the program has not been reached. Any producer that was around in the late 1980's and early 1990's will remember the green Commodity Certificates. The FSA Offices made payments in the form of a commodity certificate which could be exchanged for cash. This program actually became effective again for cotton counties for crop year 2015 and with posted county price below loan rate for 2016 and LDP's triggering the program now applies for wheat producers. A few weeks ago I touched on the subject of the $125,000.00 payment limitation for ARC/PLC payment combined with LDP and market gain payments for 2016 crop year. I have also touched on the subject of the 'market gain' and how that works for producers with marketing assistance loans. The commodity certificate exchange can benefit producers due to the fact any market gain will not be charged toward the $125,000 payment limitation. This is how the program works. Producers may purchase commodity certificates at their County Office and immediately exchange for outstanding nonrecourse loan collateral. This is only effective when the loan rate exceeds the exchange rate or the posted county price. Producer requests a marketing assistance loan and the loan is disbursed; the producer then writes a check back to CCC for repayment of the loan, not at the loan rate but at the exchange rate or the posted county price. Example: Producer has 10,000 bushels stored on the farm. Producer visits the county office and requests a turn - around loan for immediate commodity certificate exchange. The loan is disbursed at the county loan rate - in Kiowa County that is $3.03 for wheat. The county office disburses the loan and the proceeds of the loan is $30,300. The county office determines the commodity certificate dollar value required to repay the entire loan quantity and this amount is entered on the CCC-694-2. In this example I will use the rate for Friday, September 2, 2016 for Kiowa County which is $2.57. The producer will write a check back to CCC for the amount of $25,700 (10,000 x $2.57) and retain the net proceeds of $4,600.00. The producer also retains full control of the 10,000 bushels on the farm and the $4,600.00 is NOT charged against the $125,000.00 payment limitation for crop year 2016. There are also tax advantages for this program; however producers would need to discuss this with their tax professional. Producers with a large number of bushels stored on the farm and with the projected 2016 Price Loss Coverage payments being quite large this could be a profitable option. This might be something that producers may consider coming into fall harvest or who have not requested the LDP on 2016 wheat. This program won't work for everyone; due to the fact that many producers take a loan on their crop for operating capital and the $125,000.00 payment limitation is not an issue.